The electronic trade fair for material handling, warehousing, intralogistics, conveyors, lifts, cranes, storage and material flow. 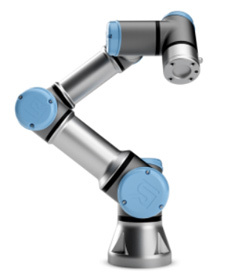 High speed and high precision robots with great dexterity and user-friendliness. 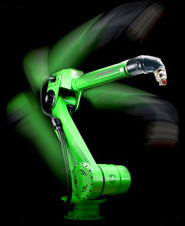 DENSO offers a wide range of four-, five and six-axis high-speed and high-precision robots for payloads up to 20 Kg. Delivers automation components and complete automation solutions of the very highest quality. Intelligent Robotic systems from 0,5 to 1350kg payload: handling robots, pick & place and palletizing robots. 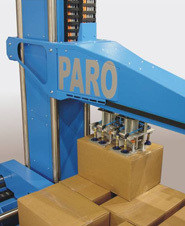 Models of the RH-SH series are powerful robots designed specially for palletizing and assembly tasks. Robotics for spot welding, material handling, multi-purpose, painting and servo gun technology. 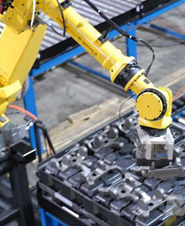 We provide the widest range of robots for welding, palletising, handling, painting and clean-room applications. VELTRU provides components and logistics software for pick-and-place applications to machine manufacturers and system integrators. SCARA, 6-axis and Cartesian robots for assembly, material handling, pick and place, sealing, palletising and positioning applications. Rethink Robotics®, a pioneer and leading innovator in the field of collaborative robots, is helping manufacturers of all sizes automate more tasks on the factory floor. Offers a computer vision module for your AGVs development and one of the world’s first affordable, safe, and reliable autonomous vehicle ready to ignite the transportation revolution. AUBO Robotics is dedicated to creating collaborative robots that are advanced human friendly robotic solutions to serve the small to midsize manufacturing sector. The HALTER LoadAssistant is a robotic system for automatic loading of your CNC machine. HALTER CNC Automation has based the development of the HALTER LoadAssistant on more than 25 years of experience in the CNC machining world. 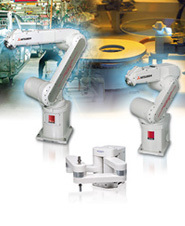 We provide excellent customer service & top quality robotic technology for industrial settings. We refurbish & integrate robots. 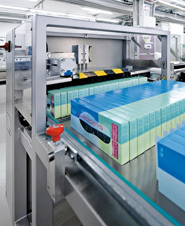 We supply unique packaging solutions for the end-of-line packaging. Our machinery programme: "erecting", "filling" and "closing". We are a manufacturer and integrator of automated guided vehicle systems for injection moulding, electronics or medical usage. Painting, varnishing, spraying. Whatever the need, CMA Robotics offers a suitable solution thanks to individual automatic robots. 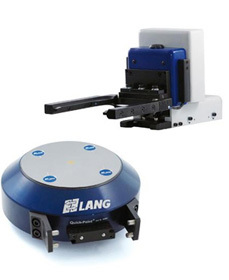 LANG Technik is one of the world's leading manufacturers of 5-axis workholding and machine tool automation systems. We develop and produce intelligent production management software and tailor-made engineering solutions in the fields of conveying technology, robotic systems and automization.